This event in Ghana was hosted along with MTN, a large mobile carrier there, and many other existing Motorola phones were unveiled there. GhanaWeb TV uploaded a 17-minute long video of the event that you'll see embedded below. 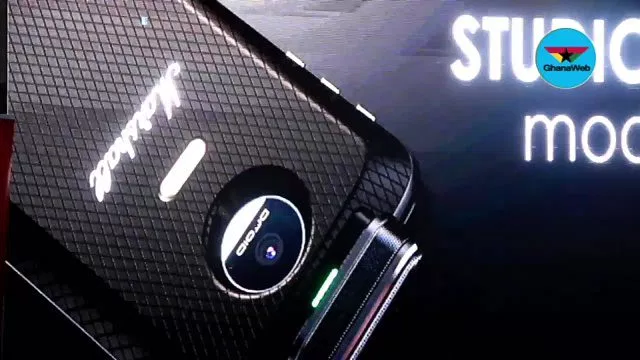 Motorola had also uploaded a video of the new Moto Mod concepts, but it was unfortunately taken down for some reason. Oh well. The most confusingly-named one here is also the only one that was shown off in person during the event. Basically, it's a white back with an almost obnoxiously-large cylinder sticking out of the top with two wide-angle camera on each side. 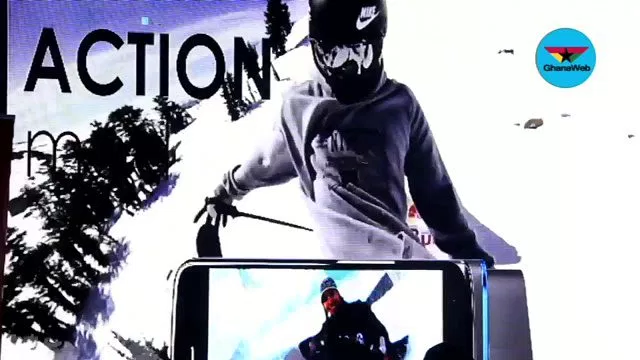 We don't know much about it, but it will be able to livestream 360-degree video to various social media services, such as Facebook Live and Instagram Live. You can see the Moto 360 Camera mod (whoever named that should be fired) in action in the video above. Unfortunately, the video is a bit blurry, but resident leaker @evleaks has provided a high-resolution render for your viewing pleasure. Pre-Android tech enthusiasts will immediately recognize the name "ROKR" as a line of Motorola phones that sported many audio enhancements. Motorola has revived this nameplate with Marshall, an audio company, to create a speaker mod. At this point, you're probably wondering why this mod was even conceptualized, as the JBL SoundBoost and now SoundBoost 2 are already real products with mostly the same duties. 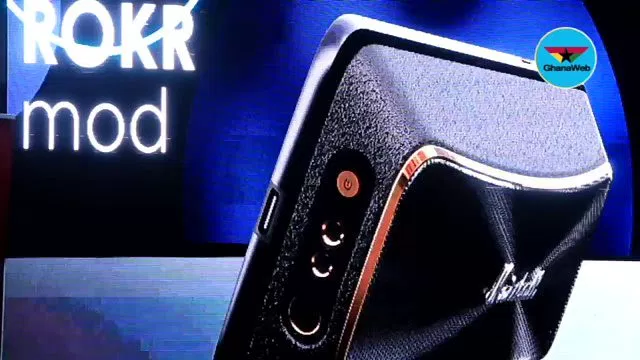 The ROKR may be a more upmarket offering, judging from the established brand and what look like external audio inputs on the back. It's too bad that these screenshots are so grainy. Motorola actually announced two products of its collaboration with Marshall at this event, with the second being the Studio, which is a high-quality microphone that is likely intended for recording music. Like the 360 Camera mod, this one also sticks out the top, but it's much less intrusive. This one's a bit of an oddball. 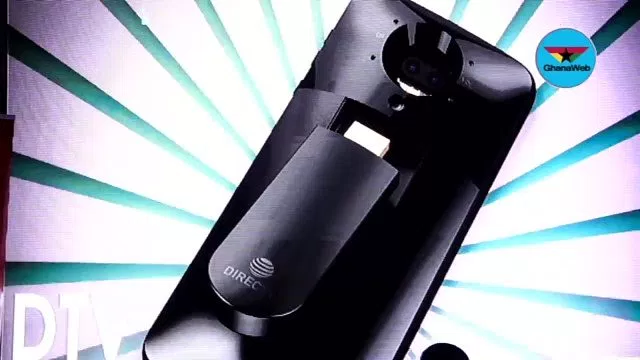 It will allow an HDMI DirecTV streaming stick to be plugged into your phone, enabling DTV subscribers to stream live TV while they're on the go. Since AT&T's been pushing DirecTV a lot lately, my guess is that this mod was part of the deal to allow the Z2 Force into AT&T's stores. Kind of odd that this was revealed at an event in Africa though, considering DirecTV is an American-only thing. Which do you think is uglier, the 360 Camera mod or this one? I can't decide. This is arguably the most interesting mod showcased, and I legitimately hope it makes it to production. 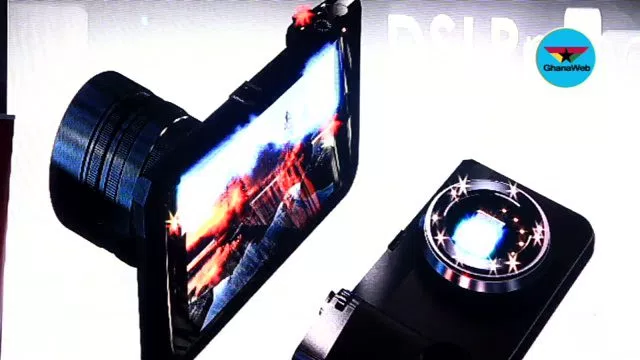 This thing will enable you to attach real DSLR lenses to your phone, and is miles superior to the horrible Hasselblad mod that was announced last year. The mod has a little shutter button and a light as well to give you the full camera experience. Prepare to step aside, Google and Samsung - Motorola devices may finally have the best cameras on the market. As you might have been able to guess from its name, this mod is intended to be used during outdoor sports. The picture we have isn't all that clear, but we do know that this camera will be rotatable. Motorola is probably hoping that this mod's existence will convince buyers that they don't need to bring a GoPro on trips with them anymore. It's worth reiterating that none of these mods are official, though the 360-degree camera mod is likely closest to production. But seriously, who thought it would be a good idea to call it the "Moto 360 Camera mod"?